Your child’s brain power and ability to concentrate can be affected by many things. Their lack of sleep, their stress levels, their daily diet, how much water they drink, among other factors can all affect them. All of these elements can significantly impact your child’s brain. Today we will solely focus on how hydration can affect your child’s learning and brain performance. Just about every process that happens inside your body involves water. From regulating your body temperature and building cells to cleansing your insides, we need water for it all. Around 50 to 70 percent of our body is made up of water. The brain is made up of 80 percent water. That’s a lot of liquid! Your brain power considerably depends on hydration. If you aren't drinking enough water, your brain will have a tough time receiving and transmitting information, elements which are crucial for learning. Dehydration can also make it nearly impossible to concentrate and memorize new information. If your child isn’t getting enough water and you think they might be dehydrated, look out for these apparent signs. 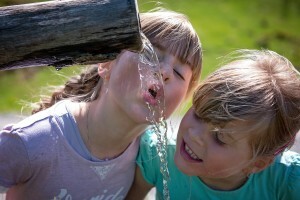 By the time your child asks for water because they’re thirsty, they’ve already lost 2-3 percent of their body’s water. Even a single percent of water loss can greatly reduce their mental performance and physical coordination. If your child complains about dizziness, headaches, cramping, a dry mouth, or has trouble focusing on their activities, they’re dehydrated. Replenish their lost fluids with a glass of water or some fresh fruit. Encourage your child to drink the recommended six to eight glasses of water a day to prevent dehydration and boost their brain power. Boost your child’s learning with tutoring in Sebring. Take advantage of their fully hydrated brain to gain some new knowledge or improve their academic abilities. Contact The Tutoring Center, Sebring FL at (281) 346-8120 to learn all about their tutoring programs.